Precision and accuracy are key to efficient sterilization. 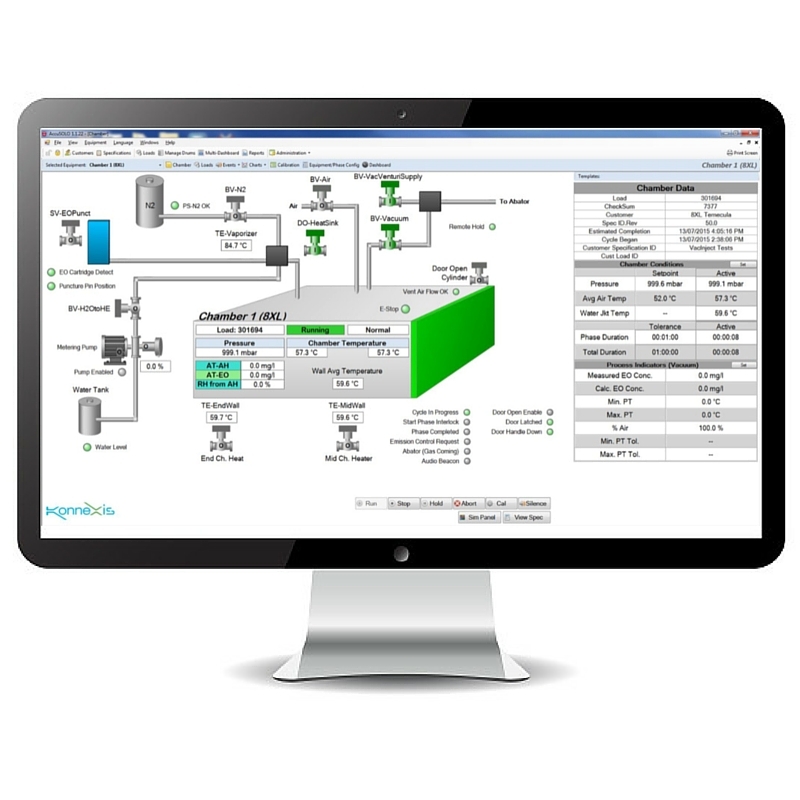 Konnexis works closely with medical device manufacturers to continually provide the latest software to seamlessly integrate with your data management systems with sterilization process control for a smarter industry. With our systems, you have enterprise-wide access to on-the-floor monitoring at your fingertips. In the past, many medical device manufacturers have relied on Antares as a control system option that suited their needs. It has been dependable, was developed by experts knowledgeable in control systems, and has been able to provide dedicated support. But that picture is changing as Antares control systems are quickly becoming obsolete and lack a go-forward product lifecycle. For most medical device manufacturers, this presents too great a risk. Alternatives to Antares include control systems that come with the purchase of chamber; alternatively, some may consider designing and building their own control systems, attempting to gain a more flexible system than the one that came with their chamber. But building software has its own inherent risks. Over the long term, the build option presents a high total cost of ownership. Konnexis’ AccuSOLOTM provides the flexibility and dependability that medical device manufacturers are looking for. Built by experts dedicated to the field of sterilization control systems, AccuSOLOTM not only fulfills your needs today, it is designed to be future-proof by using the most flexible approach to supporting multiple types of equipment, software, and cycles. from one chamber to another, reducing downtime, and 24/7 support. It also improves operational control and safety through centralized chamber management capability, simulation tools, intelligent safety controls and onsite training. Using Konnexis’ AccuSOLOTM, you get the flexibility you need to be innovative, without adding risk into the equation.